Visit Glyfada Beach and Legrena Beach for some beach relaxation. Museum-lovers will get to explore Acropolis Museum and Pandora Art Gallery. 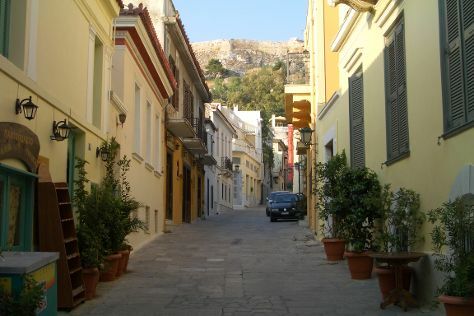 There's much more to do: take a stroll through Plaka, delve into the distant past at Acropolis of Athens, stop by The Loom, and make a trip to Ermou Street. For maps, traveler tips, reviews, and more tourist information, read our Athens trip planner . If you are flying in from Saudi Arabia, the closest major airport is Eleftherios Venizelos International Airport. In June, daytime highs in Athens are 35°C, while nighttime lows are 24°C. Finish up your sightseeing early on the 3rd (Mon) so you can travel back home.